We don't need a new ground. Sort out the pitch - it will be cheaper, and we do need a decent pitch! We have 3500 fans at best, so maybe the owners are thinking of building us a smaller ground so we don't look so under-supported. I think a hell of a lot more people will come if we have a decent football ground. These the same owners who are looking to sell the club and move to the USA? Or has that changed now? 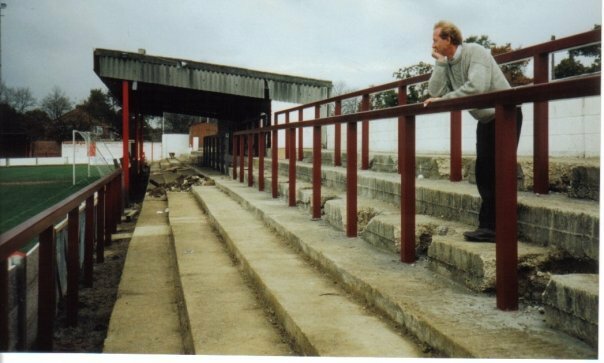 I don't know, close the away terrace to away fans in a cost-cutting exercise one day, talk about a brand new stadium the next....... we do have a strange way of going about things at CTFC. A modern new ground at Pease Pottage would be wonderful. Just not sure we need it. A great pitch can be installed at the Broadfield. Colchester, Shrewsbury and Morecambe have moved in to new grounds in recent years and their attendences haven't increased by much at all. It worked for Brighton as they were playing in a small ground compared to their fanbase and it worked for Rotherham as they weren't playing in their town. The CEO came out and said we had a top 8 budget and in effect that is why the previous manager was relieved of his duties as he was underperforming comapred to the budget he had. We are now under a financial review. So is that because we cant afford the top 8 budget or did we actually have one in the first place?!? The CEO has told us we need to cut costs yet we are looking to build a new ground when we can't even fill the one we have. We need a new pitch yes, most definately but if we cant even fill the home sections of our ground when we have given the away team (Wolves) more than 1/3 of the grounds capacity then why on earth do we need a new ground if as the CEO has said the players/results/performances on the pitch is what the fans want to see. There seems to be a lot of mixed messages coming out of the club recently! The further you go from town, the harder it is for people to get to. Darlington got a nice mention. Nothing wrong with what we've got now, and plenty of room for expansion with a bit of imagination. Certainly expansion to the size we will ever require! As for mentions of austerity one minute and new grounds the next, remember in the months before the Summer 2010 investment started we didn't even have a team coach! Maybe a fresh push is on the cards to achieve the five year plan and we are just clearing the decks for it like we did before? But doesn't the council still own the ground? therefore would any expansion be limited? How many things printed in the Observer have subsequently proved to be away off mark. Our fan base is fickle for sure. Coachloads of supporters made the trip to Man.U - where are they now. No doubt some have returned to Brighton with their new stadium others are back on Three Bridges Station platforms going to Palace, Chelsea, and the rest. Let's put this subject back in the imaginary packet where it belongs. Do something really attractive to get the supporters back who have slipped out going due to the recent lack of matches. Start living for now while you can. If,and it's a big if,the main investor decides he doesn't want to sell the club and is here for the long haul then building a new stadium would show a real intent too that commitment. If the money can be found and the right location picked then I would say go for it. Rotherham have built a superb new stadium in the perfect location.It's right in the town centre and easily accessible by public transport.It has pubs,bars,f ood outlets etc on its door step.I think the location is absoulty key for it work. The stadiums built out of town like the one Colchester have are bloody awful.It's soulless and frankly depressing. If we were to look at Pease Pottage as a possible site for us then it would need to be part of a much bigger plan.We would have to incorporate a hotel,casino,bars and restaurants into the project. We have one of the world's busiest airports on our door step,so why not tap into the millions of people that use Gatwick every year by offering hotels and entertainment for those that will want it. Maybe we should get in there now before the decision is made about the second runway.If Gatwick gets the go ahead for that then the pottage site will be a little gold mine for the club. Yes I think the council own the ground. If the club owned it they could sell the land to a developer, make a small fortune, and have the readies to build a nice new stadium. But we don't. So not really sure where the money for a new stadium is going to come from, when we can't even afford to sort out the pitch properly? We had one of those in 1997. Surely a new pitch is number one priority. Plus we could have the stadium completely closed off all around and build all tiers up to the same level for a fraction of the cost of a brand new ground. Interesting to read that our own CEO thinks we were in the Conference then, too.